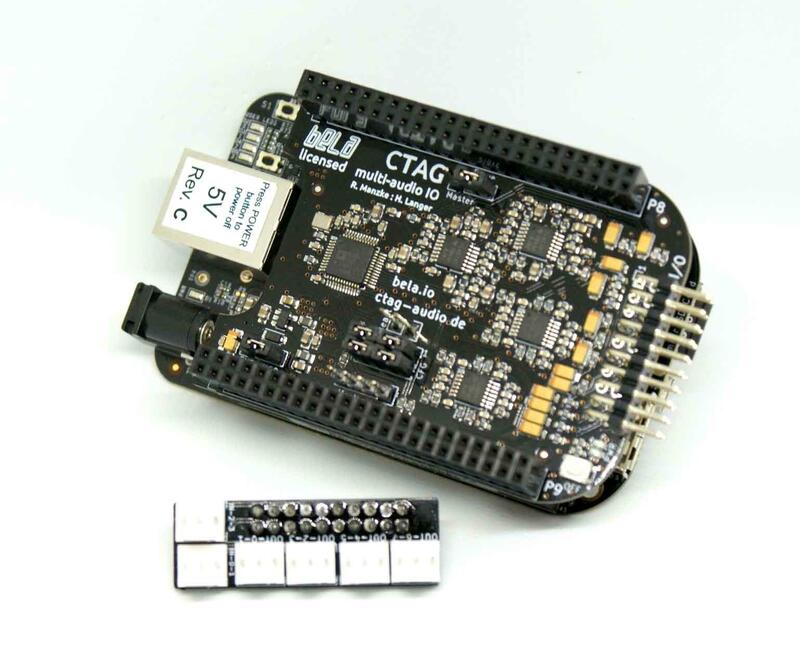 The CTAG FACE is a cape for the BeagleBone Black with 4 audio input channels and 8 audio output channels. It is fully compatible with Bela's ultra-low latency software environment and development tools, allowing audio data to be processed with round-trip latencies as low as 1ms and programmed using Bela's browser-based IDE in a variety of languages including C++, Pure Data and Supercollider. The FACE was developed in collaboration with Bela by Henrik Langer and Robert Manzke of CTAG Audio, for more information see the Hackaday project page and our wiki.